For me the king of emerging markets news; providing lively, up to date and highly readable daily commentary, this site is often the first thing I look at in the morning. The posts are usually in a short snappy form and a must read for those interested in the political, business and financial developments of the more risky parts of the world. One negative is that they have overdone the guest posts in recent months, but I guess no one is forcing me to read them. Best for: Up to date commentary. I love this site which covers African Stock markets, full of useful advice and analysis of what is an underappreciated asset class. If the “Africa Rising” narrative is true then it will be a sector which enjoys rapid growth. Also this site contains an incredibly useful compendium of corporate reports and financial statements for companies listed on African exchanges. If you are thinking about placing some of your hard earned cash on the Gaborone, Nairobi or Lagos exchanges, this is the place to start doing your research. This is the site of an up and coming brokerage firm, headed by entrepreneur Alexander Jarvis, a consummate deal maker with a heavy emerging markets focus. The dinners organised by the company are a must for anyone interested in meeting decision makers from the likes of Russia, China and Brazil. I’m looking forward to the honour of speaking at the company’s Birthday Dinner in April on the subject of Chinese overseas investment in the property sector. Bloomberg is of course the world’s leading provider of financial information, so it’s no surprise they have an emerging markets news section with great content. The site is great resource, but perhaps a little dry and corporate for my taste. But as you would expect with Bloomberg the depth and quality of financial information on the site is fantastic, whether you want to look at the progress of emerging market stock exchange indices over the last year, or currency movements then this is the ideal location. Best for: Detailed information and stats. Alternative Emerging Investor is not only a beautiful, sleek, sharp looking publication; it also covers a fantastically wide range of subjects from Aquaculture to African hedge funds to Turkish wine. Pleasingly a lot of the content has a practical tone, whether that is focusing on the pitfalls of starting a company in Brazil or banking in Belize, you feel that it could come in handy one day. If BeyondBrics is a delicious sugary snack then AE Investor is a five course meal at a Michelin starred restaurant, the depth and quality of the articles never fails to impress. Best for: In depth quality articles. Euromoney has been providing emerging markets coverage for many years now and as you might expect from a site with money in the title their analysis of EM financial stories, such as banking, currency and macroeconomics is particularly revealing and insightful. While the journalistic content is second to none I’m not in love with design of the site which I feel needs modernising. Looking for fantastic coverage of the crucial China-Africa axis? Then you’ve come to the right place. While lots of SinoAfrica focused sites have sprung up in recent years, this one stands out because of its charming in depth podcasts, which feature some fantastic guest appearances by leading academics and commentators. My advice is to tune in and let your hosts Winslow Robertson and Dr. Nkemjika Kalu take you on a journey of enlightenment where you will learn not only about the key issues of the Sino-African relationship, such as whether the China slowdown will affect African economies, but also country level topics, like unpicking the Sicomines deal between Beijing and Kinshasa or China’s role in South Sudan. This site gets the thumbs up thanks to its cracking coverage of African business; it has the usual news and analysis, but provides great practical advice for business people and entrepreneurs wanting to set up firms in the continent, at once inspiring and practical. Maplecroft is a consultancy with a focus on human rights and political risk. While there are plenty of companies that can provide these kind of services, the Bath based company has one crucial difference, it’s beautifully made maps. While you need to be a subscriber to view all of them, they have samples available on the site. The maps are tailored made for each situation, so whether you want to view oil wells and conflict hotspots in South Sudan or Vitamin A Deficiency levels by country by country then this is where to look. Mark is a veteran EM investor and his blog is a fantastic account of a man who travels widely in search of high growth companies and new opportunities, while also providing insightful political and business analysis from a bottom up perspective. 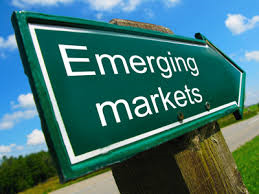 By interpreting events on the ground he generates some interesting opinions on the suitability of investing in certain regions and countries, he also gives a real sense of the excitement and unpredictability that comes with investing in emerging markets. Best for: a sense of adventure. Nothing ventured, nothing gained is the apt motto of this magazine, for me nothing else quite sums up the spirit of “Africa Rising” than this publication, a business magazine with an emphasis on entrepreneurship with great features such like diary of an under 30 CEO – giving real insight into the practicalities of business in Sub-Saharan Africa.